Maintaining a monthly budget is one of the keys to financial success for veterinary practice owners. Whether you love it or loathe it, there’s no denying that budgeting is one of the most essential practices any business can undertake. As a hospital owner, you should have a budget for your clinic and, as much as you can, stay within that budget every month. Doing so will lead to more profit and fewer unforeseen expenses. But what happens when you forget to budget for something or you keep going over budget in a certain category? 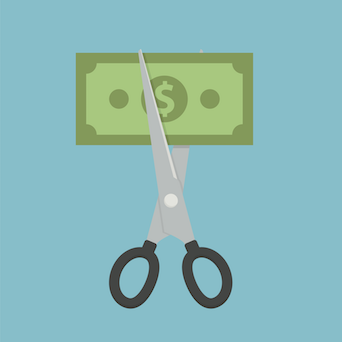 Read on for solutions to 4 common veterinary practice budgeting questions. Question #1 - What categories do I need in my budget? Creating specific budget categories for your practice can seem overwhelming, but start with the obvious, such as rent, utilities, loans, salaries, etc. What else should you consider? Looking through your financial transactions from the past few months will give you a good estimate of how much your practice spends monthly. Make a list of the transactions that recur monthly—these are the categories that should be added to every month’s budget. Also keep in mind expenses that happen bimonthly or less frequently, as they will need to be planned for as well. Expenses like professional organization dues, insurance, and license fees can be easy to forget. The important thing to remember is that your budget will not be perfect. It will need to be refined and changed over time. Question #2 - What if I go over budget in a certain category month after month? The simple answer: Change your budget. Of course, this may not be the root problem. If you’re routinely spending more than you would like to on certain expenses, sit down with your team or bookkeeper to figure out how to minimize costs in this area. If costs can be cut, great! If not, raise the budget for that category and see if you are able to cut costs in any other categories to compensate. Question #3 - What should I do when I go over budget or have money left over at the end of the month? It’s very likely that your expenses will exceed your allotted budget from time to time. Don’t panic. When this occurs, check to see what costs can be lowered. It’s also possible that transactions were not entered into the correct category. Take a quick look through all your transactions to ensure they’re sorted correctly. If it’s not possible to cut costs, raise your budget as minimally as possible. This is a fine action to take as long as it does not keep happening. On the other hand, if you came in below budget, you have a great problem! Use the extra money to invest back into the practice, buy new equipment, give your staff a bonus, or donate to a cause close to your heart. Having “bonus money” left over at the end of the month is truly one of the best parts of using a budget. Either way, it’s very likely that you will go either over or under your budget once in a while, but don’t sweat it. Your budget should serve as a guide, but it’s fine to adjust it as needed and continue on. Question #4 – What is the best way to keep track of my budget? Now that you know what categories you need and what to do when you go over or under on your budget, the question of how to track it remains. If your practice uses bookkeeping software (eg, Quickbooks, Xero), the software will have a built-in budgeting area where you (or you and your bookkeeper) can simply add in categories as needed. If you are not using bookkeeping software, you should consider it. In the meantime, there are many free premade spreadsheets available online that can be used and modified for your liking. Learn to love budgets—or at least accept them—and you will be one huge step closer to financial freedom for your practice. Mr. Hendrikse is the founder of Navigator Bookkeeping, which provides bookkeeping services for veterinarians. You can learn more at navigatingyourbooks.com, or email nate@navigatingyourbooks.com.